Mammoth is a lifestyle. 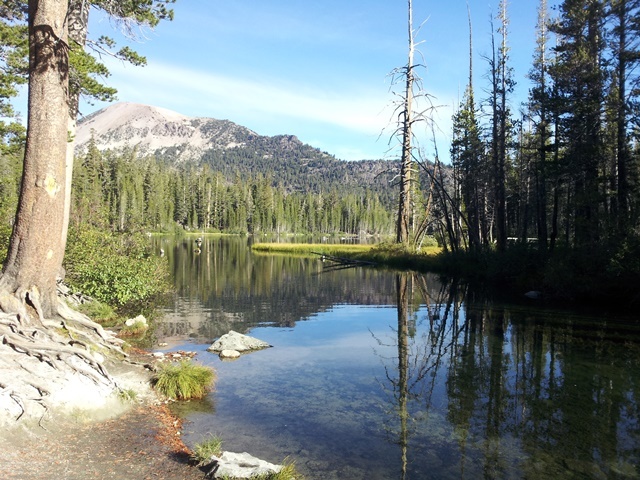 This summer was evidence that many people are appreciating the natural beauty that Mammoth offers. The various rental agencies had all time high numbers for visitors for summer. The Chamber of Commerce is doing an excellent job in advertising the activites that Mammoth has to offer. The summer air service was a success and adding San Diego this winter will be an expansion that should have also have a positive affect. Daily flights will begin December 19th from Mammoth to San Diego. There seemed to be something happening every single weekend that reached different groups in terms of interest, with more athletic events this year than ever before. The Jazz Jubilee celebrated its 25th anniversary. Lots of opportunities to purchase both summer and winter sporting equipment at fantastic prices with all the Tent Sales by Footloose, Kittredge, Wave Rave, Mammoth Mountaineering, Mammoth Outdoor Sports, and Value Sports. The Granite Man which was this last weekend, tied the June Lake swim, the Century Ride and the Tioga Pass Run together. The Kamikaze Mountain bike ride brought some pro riders to our area, like Cindy Whitehead Buccowich. Cindy used to live in Mammoth and in fact, she had an awesome summer program for young kids that my son was able to partake in back in the 1990’s. The Village hosted the beginning and ending of the Century Ride and Gran Fondo where the riders were escorted by a helicopter. Local Todd Hensley, came in 3rd place in the tough 100 mile Grand Fondo with a time of 4:50! There is more to Mammoth than homes and condos. What makes Mammoth special are the people. I will be highlighting some of Mammoth’s citizens and their contributions to our Town. Stay tuned for more information on how a personal tragedy has been turned into a positive. Prices and interest rates are still low. Make sure you buy your own piece of Mammoth in time for the 2013-2014 ski and snowboard season. And don’t forget snowmobiling, cross country skiing, and ice skating! I look forward to the opportunity of helping you find your own special property in Mammoth.